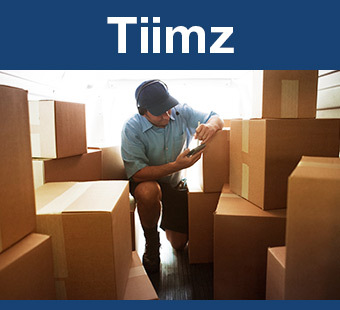 Tiimz offers a wide range of benefits for both small businesses with just a few travelling salesmen and large corporations with multiple mobile groups with various roles, including logistics units, sales forces, maintenance groups and many others. Organizations’ effectiveness relies heavily on proper resource management and planning to ensure reduced overheads and better organizational performance. Having the right tools to distribute, manage and monitor these resources (both real-time and post-mortem), is a key factor to meet short and long-term objectives, independent of the specifics of an industry or a business model. Tiimz provides the ultimate workforce management solution, combining best workforce practices, while staying flexible enough to respond to your specific organizational needs, processes and methodologies. Tiimz offers a set of customizable rules for automation in task distribution and resource allocation. The system also provides a wide variety of customization options and manual fine-tuning, for decisions that need to be made on-the-fly by authorized personnel. The result is better resource distribution and reduced overheads, achieved through real-time communication between all units, leading to significantly reduced operating costs in the long run. Better coordination between different team members, as well as improved real-time connectivity to office coordinators, inevitably leads to improved team work and overall productivity. The result is higher customer satisfaction and more employee engagement – two major ingredients of a successful business. Orchestrate mobile resources, reduce operating costs, increase productivity.